Interstitial cystitis: A chronic bladder condition that causes bladder pain and frequent and urgent urination. Overactive bladder: A serious condition that squeezes urine out of the bladder at inopportune times. Urinary incontinence: A condition where a person is unable to control their bladder. To avoid these conditions and to ensure the health of your bladder, there are a few tips that you should follow. Women are especially susceptible to urinary tract infections that involve the bladder. Frequent infections of the urinary tract and the bladder can cause permanent damage to your bladder over time. When you go to the bathroom, it is important to empty your bladder completely each time. If you tighten up your muscles and you stop urinating before your bladder is empty, the urine that didn’t make it out of the bladder will bring bacteria back into the urinary tract and bladder which will cause an infection. Drinking plenty of fluids will help to flush out your bladder. It will also flush your urinary tract, preventing you from developing an infection. It is recommended that you drink six to eight glasses of water each day. If you find that you are urinating too often, cut back slightly. If you spend your day sitting at a desk, fluid can build up in your legs during the day. At night, the fluid build-up will cause you to empty your bladder. The longer you leave the fluid in your bladder, the higher the chances are of developing an infection. To prevent this, try walking throughout the day. You can also try raising your legs to your waist and flexing your calf muscles. Each year, over 50,000 people are diagnosed with bladder cancer. According to a recent study, cigarette smokers are two to three times more likely to develop bladder cancer than non-smokers. If you are a smoker, now is the time to quit. It will greatly reduce your risk of developing bladder cancer and a variety of other health conditions. The best way to avoid bladder infections is to drink cranberry juice. The ingredients in the juice can keep harmful bacteria from sticking to the walls of your urinary tract. This will keep the bacteria from moving up into your bladder. If you don’t like cranberry juice, you can also take cranberry tablets. There are certain foods that can cause bladder pain and frequent urination. If you suffer from these issues, avoid acidic food such as orange juice and tomatoes. It is not healthy for your bladder to remain full all night. This is why you should drink fewer fluids two hours before bedtime. Also, avoid caffeinated drinks before bed because caffeine will make you urinate more often. If your bladder remains empty at night, the chances of an infection greatly decrease. If you want to avoid bladder infections and chronic bladder problems in the future, you should start taking care of your bladder now. Each of the tips listed above will ensure a healthy bladder now and in the future. Lung cancer does not have a lot of noticeable signs in the early stages. Most people do not usually get a diagnosis until when the disease has progressed. However, there are signs you can look out for that will show if you have lung cancer. Noticing the signs can help you get diagnosed at the early stages. You should be keen on any new cough that is prolonged. A normal cough that is associated with a cold or respiratory infection is likely to go after a week or at most, two weeks. However, a persistent cough can be a sign of lung cancer. If you notice a cough lingering for more than two weeks, you should visit your doctor to have more tests done. You should also pay attention to your cough if it starts changing. It is especially the case if you are a smoker. Some things to look out for is if your cough gets deeper if you get an increased amount of mucus or start seeing blood. A lung tumor can cause fluid buildup in the chest, and the cancer can also block or narrow an airway. One way you can identify this is if you notice that you start getting easily winded or have extreme shortness of breath. Lung cancer is known to cause chest pain in some patients. 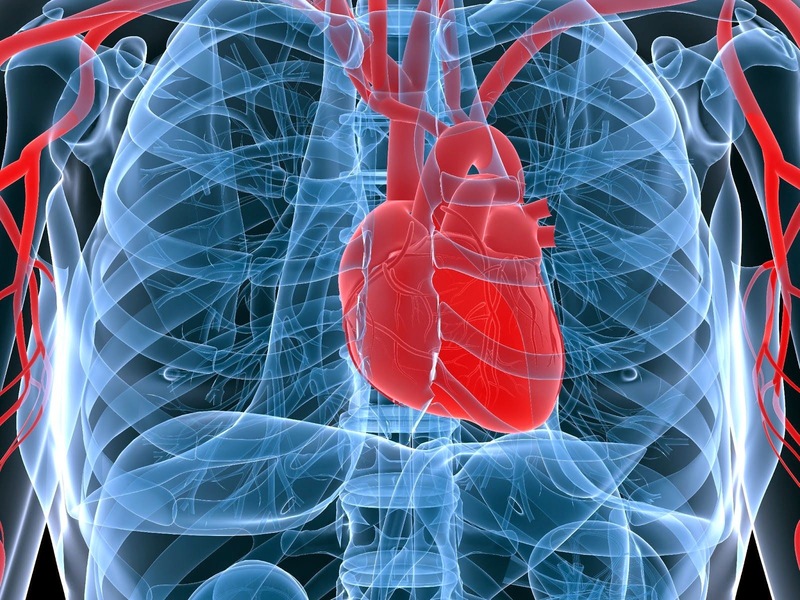 The chest pain may be sharp, constant, dull or intermittent. It can also occur throughout the chest or can be confined to one spot. The pain can be due to enlarged nymph nodes or metastasis to the lining around the lungs, the chest wall or ribs. You experience wheezing when the airway becomes constricted, inflamed or blocked. It can be easily diagnosed as a symptom of allergies or asthma and treatment is simple. However, if the cancer blocks the airway, wheezing might also occur and should be taken seriously. One common symptom of any type of cancer is loss of weight. If you notice that you have lost about 10 pounds without trying to lose weight, you should find out the reason. If the cancer progresses, it might spread to the bones leading to bone pain. The pain might increase and usually gets worse at night. You should take note f any unexplained neck, back, chest, shoulder or arm pain that worsens at night. If the cancer spreads to the brain, you might experience headaches. However, it can also mean that the cancer is putting unnecessary pressure on the superior vena cava that triggers the headache. Another thing to look out for is fatigue even when you have not done any work. If the fatigue does not wear off even after resting, then you should visit your physician to find out the cause. There are patients who experience nervous system problems when the cancer causes the immune system to start attacking parts of the nervous system. It can lead to muscle disorders characterized by difficult getting up from a sitting position, loss of balance and lack of steadiness in the arms and legs, weakness in the hips and trouble swallowing. If you notice any of the above symptoms, it is important to visit a physician as soon as possible. Early screening is important especially if you are at high risk of getting the disease. Alzheimer’s is a very serious brain disease that can cause a slow decline in the patient’s cognitive skills. Over time, the patient’s memory, reasoning skills, and thinking can begin to decline. As the disease progresses, the disease can get so severe that the patient doesn’t recognize their family members and they don’t even know who they are. If you are caring for a loved one and you are concerned that they may be in early stages of the disease, you should know what symptoms to look for. It is important to understand that every person is different. The combination of symptoms can differ from person to person. Forgetfulness is a normal sign of aging, however, if your loved one becomes especially forgetful, it could be cause for concern. There are certain memory issues that a person with Alzheimer’s will have that aren’t a normal part of aging. It is not uncommon for a person with Alzheimer’s to suddenly have trouble making plans. Something simple like following a recipe or understanding the directions to a board game can become difficult. People with Alzheimer’s also struggle with numbers, therefore, paying bills and balancing their checkbook can become difficult. 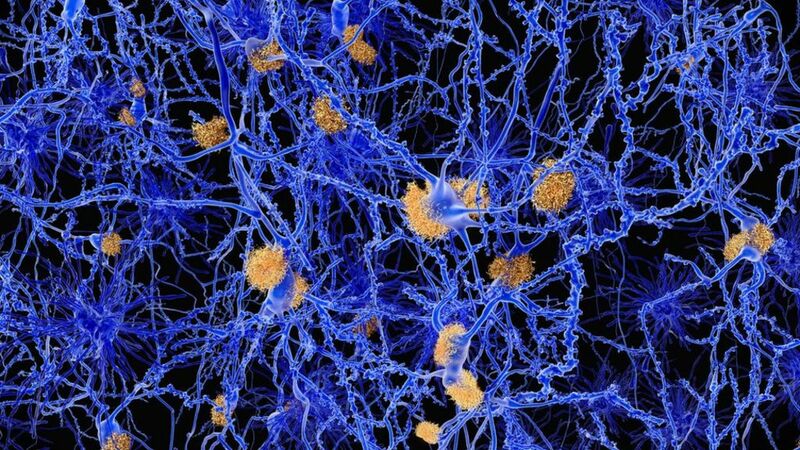 Finally, a person with Alzheimer’s may need to concentrate much longer to do things that were once easy for them. When a person is suffering from Alzheimer’s, familiar tasks that they have been doing for years can become difficult. This can include driving to a familiar location, remembering their daily routine, and forgetting how to use their household appliances. People with Alzheimer’s often lose track of time. This doesn’t mean that they forget what day of the week it is. People who suffer from this disease will often forget what year and even what decade it is. Also, they might have trouble understanding if something is happening immediately. Finally, it is not uncommon for a person to go somewhere and forget how they got there. Many people who suffer from Alzheimer’s have problems with their vision. This doesn’t mean needing a pair of reading glasses. Alzheimer’s patients often have trouble judging distance. They also have trouble determining color or contrast. These vision changes can make it dangerous for a person with Alzheimer’s to drive a vehicle. As a person gets older, it is not uncommon for them to have trouble finding the right word, however, if they are in the middle of a conversation and suddenly forget what they were talking about, it is a serious cause for concern. People with Alzheimer’s often repeat themselves because they forgot what they just said. Finally, many Alzheimer’s patients will call things by the wrong name because they cannot remember the correct one. For example, if the person says little clock instead of watch, it is cause for concern. Alzheimer’s patients will often misplace things. While this is common for many people, Alzheimer’s will make it difficult for them to remember where they just were so that they can retrace their steps. Some people confuse old age with Alzheimer’s, however, when it is Alzheimer’s, the symptoms are more serious and disruptive to their life. `Your thyroid is a butterfly shape gland located at the base of your neck. The purpose of the thyroid is to produce hormones that regulate your weight, your body temperature, and your heart rate. Although thyroid cancer is not the most common type of cancer in the United States, over the years, the rates have been increasing. The reason for this is because doctors use new technology that helps them catch thyroid cancer in the early stages. This technology wasn’t available before, therefore, it was not picked up in the past. The new technology helps doctors detect thyroid cancer early on, increasing the patients’ chances of survival. The cause of thyroid cancer is unknown. While the causes are not clear, there a few risk factors that can put you at risk of developing thyroid cancer. Exposure to radiation: If a person has been in contact with radiation, they are at risk of developing thyroid cancer. For example, if a person has undergone radiation treatment either as an adult or as a child, they are at risk. If a person works at a nuclear power plant, if they work doing weapons testing, or if there was an accident at a power plant, they could be at great risk. Being a Female: If you are a woman, you are more at risk of developing thyroid cancer than a man. Thyroid cancer is twice as common in women than men. Inherited genetic syndromes: If a person has a family history of medullary thyroid cancer or multiple endocrine neoplasia, they are at risk of developing thyroid cancer. There are various symptoms of thyroid cancer that a person should look for, especially if they have any of the thyroid cancer risk factors. A lump in the neck: If you discover a lump in your neck, you should see a doctor. In some cases, the lump will grow rapidly. Neck swelling: If you have noticed swelling in your neck and you were not injured, you should see a doctor. Pain in the neck: Pain is a common symptom of thyroid cancer. The pain typically radiates in the front of the neck. In some cases, it can travel up to your ears. Voice changes: If your voice changes or becomes hoarse and it doesn’t go away, it is a common symptom of thyroid cancer and it warrants a visit to the doctor. A constant cough: If you are suffering from a constant cough that is not associated with a cold, you should make an appointment to see a doctor. Trouble swallowing: Trouble swallowing is a common symptom in the later stages of thyroid cancer. Difficulty breathing: Wheezing and trouble breathing are two symptoms that can occur in the later stages of thyroid cancer. It is important to understand that each of these symptoms could be symptoms of other medical conditions. If you are experiencing any of the symptoms above, it is not a guarantee that you have cancer. You should, however, make an appointment so that your doctor can order the appropriate test to determine they causes of the symptoms. Fortunately, if thyroid cancer is caught early, it can be treated. Despite treatment, it is possible for thyroid cancer to return even if the thyroid has been removed. This can happen if microscopic cancer cells spread beyond the thyroid before the thyroidectomy. Your best chance at beating the cancer is knowing what symptoms to look for and seeking treatment as quickly as possible. 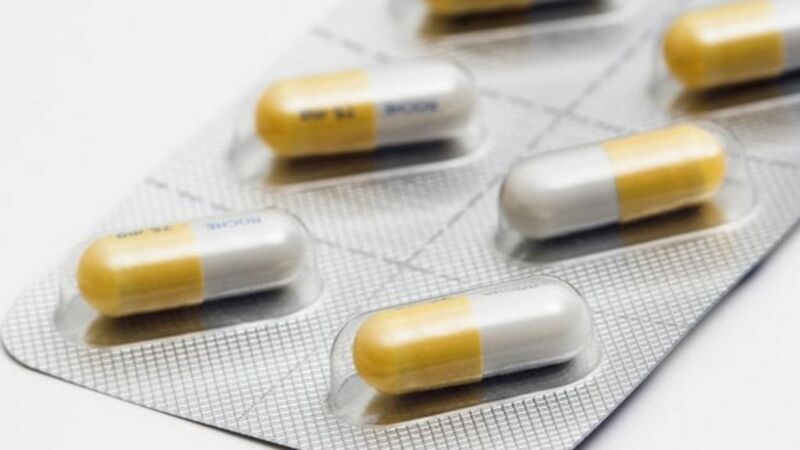 There is a wide difference between antiviral drugs and antibiotics, and you should know the effects of these two drug classifications on your body. The range of antiviral medications is narrow while the range of antibiotics is quite full. Looking younger is big business. It seems there’s a cream or a serum for every line and wrinkle on our bodies. Sure, you can slather on a cream or two, but there are also some simple things you can do every day to keep your skin looking its best. The foods you eat and even the sleep you can get help your body fight cell damage. When you eat the right foods or take the right vitamins, the nutrients you take in will help your cells replicate, leaving you looking fresher and younger! Drink Enough Water: Dehydrated skin can dry out and look saggy and dull. Drinking enough water each day will leave your skin firmer, hydrated, and give you a glow! Most adults should be drinking about 2 liters of water per day, which is roughly eight 8-ounce glasses. Get Enough Sleep: When you’re not rested, your entire body suffers. Your brain feels foggy, you’re grouchy, and your skin looks sallow. You’ll see dark circles under your eyes, casting a pall over your entire face. Your skin rejuvenates and repairs itself overnight. Shoot for eight hours a night if at all possible. Add Antioxidants to Your Diet: Eat the rainbow! Make sure your plate is loaded with lots of different colors throughout the day. Fruits and vegetables supply your body with the antioxidants it needs to fight inflammation and free radicals which will damage your skin cells. 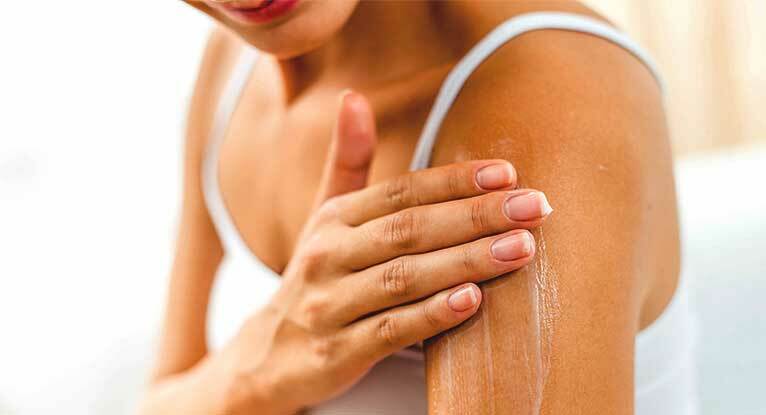 There are also a number of skin products on the market that contain antioxidants. Drink Green Tea: Studies show green tea can be good for our skin. They say drinking green tea can ward off aging and even help prevent skin cancer. Why? Because of those antioxidants again! Green tea contains both catechins and antioxidants, both of which can help keep our bodies healthy. Buy Organic: Organic foods have fewer pesticides, hormones, and toxins, which helps curtail the damage done to our bodies. In fact, if you choose organic meat and dairy, you’ll bypass the hormones and antibiotics given to the animals. This can help reduce acne. Stay Out of the Sun: Small amounts of sun each day help our bodies produce vitamin D, which is beneficial. But you only need about 10 to 15 minutes in the sun to achieve this benefit. Too much sun, especially if you forget to put on sunscreen and wear a hat and sunglasses, can damage your skin and your eyes. Choose Natural Skincare: When you do shop for your skincare products, choose those without parabens, sulfates and other harsh chemicals. Do your homework and research the ingredients in the products you choose. Decorate with Plants: Indoor plants help purify the air you breathe. They function as an air filter. Keep one on your desk, near your bed or anywhere in the house where you spend a lot of time. Limit Sugar: If you eat a lot of sugar, it can actually age your skin. Wrinkles brought on by sugar are becoming more common since Americans’ diets seem to be full of the sweet substance. Relieve Stress: It’s no joke; wrinkles can be brought about my stress. Exercise, meditate, do yoga, get a massage, talk to friends, get out and take a walk (with your sunscreen on, of course), whatever you need to do to alleviate stress. It will help both your mind and your body!